Staff travel, Non-rev, Interline, ID90, ZED fares, call it what you want... We, airline crew, love to travel! StaffTraveler gets you the loads on the flights you wish to staff travel on. Making staff travel easy and stress-free! 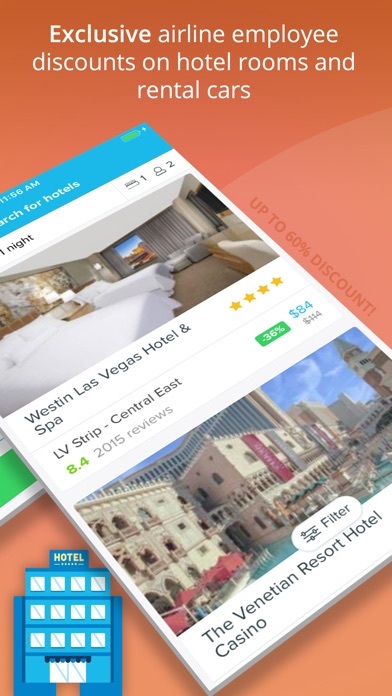 - Get the loads for the flights you want to non-rev on, by using the power of the largest airline community in the world - Get exclusive hotel deals, only for StaffTravelers - Get a rental car anywhere. Easy & fast - Insider city tips from the worldwide airline community Please note that you can only login after you have been verified as a (retired) airline employee. I’ve used this app in my recent trip to Bulgaria. It was very easy to use and I got on the two flights as I planned. I can’t help wondering, though, how accurate the loads are, considering it’s a race among the employees of an airline to be the first to respond to loads requests in order to earn credits. Do they make mistakes? Do they double check their answers before submitting the information? Only discovered this app recently and used it right after for my ID travels. It works well and there are clearly a lot of ID travelers out there as flight information comes through pretty often and quickly when requested. I’ll definitely be using this app often. The suggestions offered by another reviewer are right on, as regards especially to notification due to aircraft change. All in all a good app. Glad I found it! Can’t beat this app. The most accurate and up to date information available in less than 5 minutes . 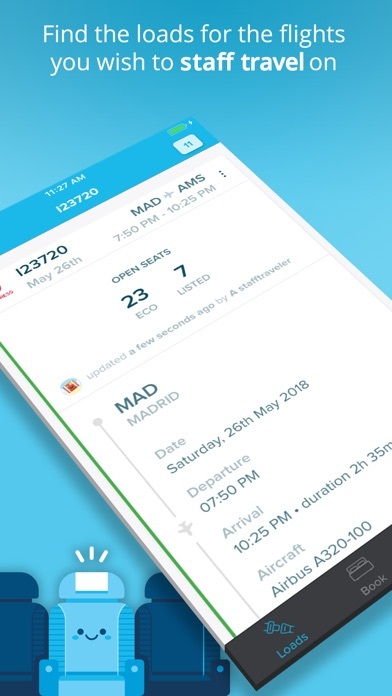 Fantastic app for airline employees! Easy to use and more airlines represented than the Facebook groups. Highly recommend if you travel even a few times a year. 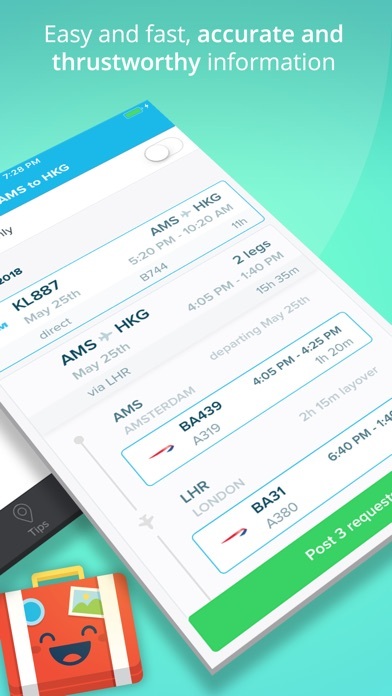 If you have flight benefits and you don’t use this app, you’re unnecessarily subjecting yourself to a lot of stress wondering if you’ll get on a flight and wasting time at airports. Easy to use and near instantaneous results. I absolutely love this app! If you’re an airline employee it makes traveling so easy. Just finding out loads are a breeze now! Love this app, perfect for non-rev flying! I’ve never gotten loads so quickly, until this app!! This makes non reving many times better. It takes away the stress of worrying about the loads. It also gets addicting loading loads for other. Everything goes so quick and I love that. You earn 1 credit for helping provide loads per request and 1 credit used for your load request. 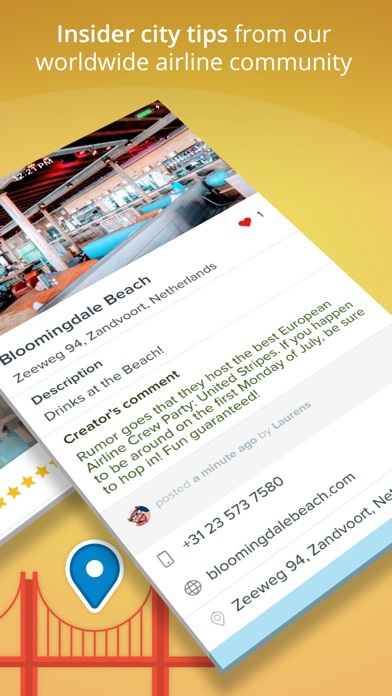 More by StaffTraveler Solutions B.V.